Miriam Alden shares the importance of supporting other women, living true to your values, and maintaining a connection to nature. We’re strong believers in the power of community and of celebration, and love connecting with the like-minded folks around us. 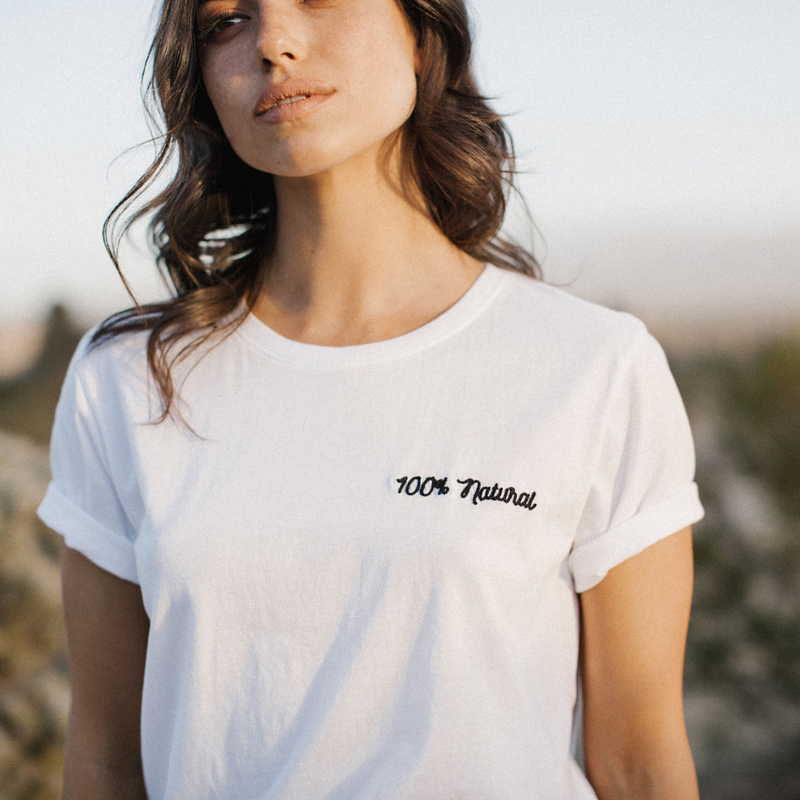 One of our fave Vancouver-based brands, Brunette the Label, inspires us with their message of ‘babes inspiring babes’, and their support of positive conversation and collaboration amongst women. Their founder, Miriam Alden, connected with us about how she runs her business in line with her personal values. High energy, creative and with a passion for life, Miriam lives her life with a ‘nothing to hide’ attitude, grounded in a love for the natural world. Read on for her thoughts on 100% natural, her love of horses, and the importance of women supporting women. Tell us how Brunette The Label, a 100% vegan fashion line, came to be? I created the sister business to Brunette The Label—Brunette Showroom—in 2009 and slowly grew the business from representing one brand and showing out of my car, to as many as fifteen at a time in my own office space. I then created the first Brunette The Label sweatshirt in 2014 as a marketing tool, and the brand expanded organically from there. Why is the idea of babes supporting babes so important to you? For me, Babes Supporting Babes is a lifestyle. It’s when you choose to support others and help them grow without just benefitting yourself. It is the mentality that there is enough room for everyone, to be proud and supportive of everyone’s choices and avoid being judgmental. It removing jealousy or insecurity and not feeling worried about competition, and choosing to work together. What does 100% natural mean to you? To me, 100% natural means not only fuelling your body with natural foods, but also using products that are going to do good for you and cause no harm. I find that even when I am eating well, if I start mixing in a portion of non-natural products into my routine, it starts to really affect me and my environment. I always feel my best when I am filling my body with whole, natural foods and have realized the importance of trying my very best to use as many natural products as possible. I grew up with a parent who was shopping organically my whole life. If we were eating something that hadn’t been grown in our own garden, then it was a whole organic natural product. On top of that, I am a huge animal person, and I do my best to use plant-based products whenever possible. The entire Brunette the Label collection is 100% vegan. What’s your favorite 100% natural product, and how do you use it? Definitely Peppermint Halo and Stress Release. Every single night before I go to bed, I and my husband—who actually introduced me to these products—roll it on and it helps me fully relax when I close my eyes to fall asleep. It helps my brain slow down from the day, and get to a more quiet space. 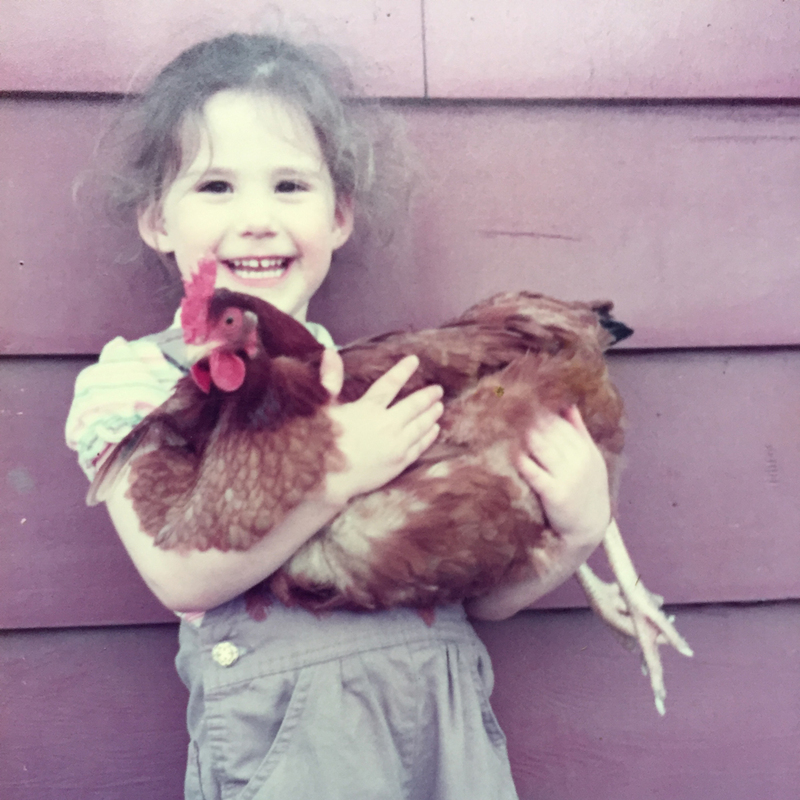 Tell us more about what it was like to grow up on a family farm, surrounded by nature? Growing up, a large portion of what we ate had been grown in our farm. I remember waking up every morning to collect fresh eggs from our chickens and eating jam made from berries and plums from the garden. When I was really young, my mom bought me gardening tools for my birthday and I was so excited for us to garden together. My mom and dad have always maintained very natural lifestyles, even after we moved off the farm. For both of my parents, eating whole food, living a healthy lifestyle and making choices that reflect a healthy body, soul and environment are really important. I am very proud to have grown up with parents that care about my health, and the environment. How do you integrate nature into your life? I spend a lot of time at the barn, outdoors with my horses. When choosing what to eat, I am a vegetarian and I always do my best to try to eat locally-made, organic, whole foods and non-packaged items. I am not totally strict, and do travel a lot, and enjoy wine so I just do my best but nobody is perfect. What’s your favourite way to #spreadwellness? Sharing good energy. When you can feel people are having a tough time or their energy seems to be off, I think you can share your own good energy and help lift them up. I think it’s important to help people build self confidence by sharing positive reinforcements with them. I also try my best to give myself space and time when I am feeling depleted. You can’t offer support until you are whole, so I try to get myself to a good place and then spread the energy. But don’t get me wrong: life can be hard, and sometimes you need your friends and family’s energy to help make you strong again. How do you maintain a nothing to hide attitude? I try to have fun and surround myself with people that I really care about, and who show no judgment. I sometimes check myself and bounce back to my core values and make sure I am also “being a babe”.